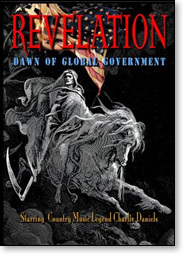 Edward Griffin, in his Need to Know column, wrote that he has seen the film Revelation: Dawn of Global Government. Even though he himself was in a part of the movie, actually seeing the film in final form left him "stunned." 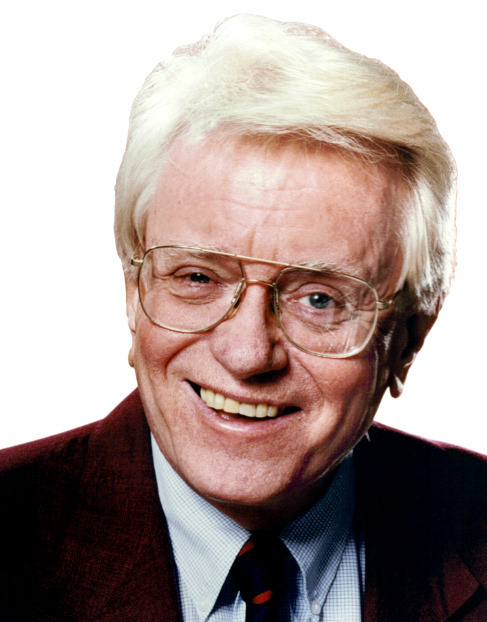 When his commentary was joined by "scores of others who spoke from first-hand knowledge about the loss of liberty and the growth of government," the pieces came together like a giant jigsaw puzzle that revealed a disturbing picture of the social and political Hell that is rapidly approaching. Griffin's commentary on the film dealt with the Federal Reserve System, which he and many others have viewed for years as one of the several factors that make up the pieces that, taken in their entirety, indicate what would happen under a worldwide dictatorship. There would then be no escape on the planet from the permanent darkness, despair, and high death tolls. The people behind the "One World" movement include (but are not limited to) innocent and well-meaning dupes who assume that if all the world's authority were comfortably trusted in the hands of a few at the top, no – or perhaps fewer – bad things would ever happen to people. Others who understand the risk of placing all trust in the nature of the human race are of course, skeptical. Kids missing "Mommy & Daddy?" Here in America, as in most free societies, it's taken for granted that if a parent commits a criminal act and the law enforcement community cuffs Mom or Dad for it, that parent will of necessity be "separated from the children." The kids go to relatives, foster homes, or wherever. Somehow in 2018, in the upside-down rationale of today's "politics as outright warfare" phenomenon, there is a different and preferential treatment accorded non-American kids. If their parents have committed the lawbreaking activity of crashing our borders – quite uninvited – finding a way to care for the youngsters is not good enough. No, no, according to the Political Insider. In that case, the ACLU and assorted like-minded comforters of those who evade the law have persuaded a judge to order children of so-called "asylum-seekers" arriving here from south of the border to be reunited with the kids before this month is over (exact time depending on the age of the child). Now there are questions as to whether the adults in the "reunion" are really necessarily the kids' parents: This past week, the Trump administration announced that almost half of the detained children who were five years old or younger were separated from adults who were not really their parents; in fact, many of them were violent criminals. Thus, as they say, the plot thickens. You may be among those finally to "face the music" on benefits to which we have become accustomed. Here's that "music": 1) Medicare will become insolvent in 8 years; 2) Social Security will become insolvent in sixteen years. Now, Senator Ron Wyden, the top Democrat on the Senate Finance Committee, blames it all on President Trump's tax cuts. But patrioticviralnews.com – to the extent that a more credible explanation were needed – has cited this common-sense reminder: Your retirement is up to you. Don't let any mismanagement of the economy by the unpredictable paths of government policy deter you from adequate preparation. Many have become accustomed to assume that political maneuvering at the last minute will rescue us from ultimate fiscal doom, always assuming the well will not run dry. Pity the generation with no one to rescue them from going over the cliff. Some emerging self-described socialists in our midst speak in grandiose terms of free handouts for this and that, with no fiscal discipline on their minds. Brett Kavanaugh – another "swing" vote? 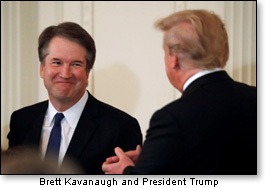 A big question on the minds of some Republicans is whether Judge Brett Kavanaugh, President Trump's nominee for the Supreme Court, will – if confirmed – solidify the conservative majority on the High Court or – as some fear – be a "swing" vote in the style of the man he is in line to replace: outgoing Justice Anthony Kennedy. This column advocated another candidate on the president's list. So now, are we at a point of no return? Here are the possibilities: The GOP Senate, under the leadership of Mitch "Ever the Pragmatist" McConnell, is braced for an all-out fight against opposition from the left, hoping that doubters on the right can be reassured. As outlined here, the probability is that the nominee's missteps (from our point of view) on not insignificant matters will be weighed against the kudos from conservatives. Fingers would be crossed that if confirmed, a Justice Kavanaugh can live down the minuses in his record. Is this the best we can hope for? No – but it is the weight of the current political winds blowing among Republicans...i.e., go all-out for him or run the risk that time runs out on the political clock, and the chances of getting another nominee in time to avoid an even bloodier fight would be dim with even less time to get that other nominee on the Senate floor before the fall elections. Theoretically, there is still time to replace the current nominee with someone else. But having spent years on the Hill covering congressional inclinations to move at a pace Bob Dole used to say was "like watching the grass grow," this column believes that, quite realistically, there is little cause for optimism. That's not the way we would have it, but that is the way it is.